Checked out the Twisted Root Burger Company in Fairview for lunch today. 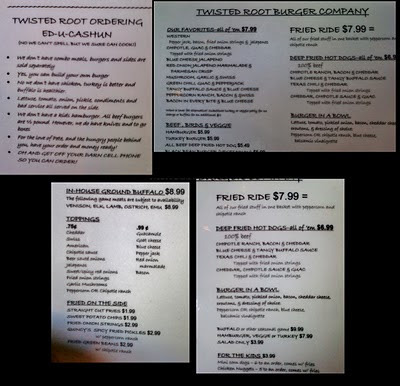 Ordered a Bleu Cheese and Jalapeno Burger, a Peppercorn Ranch Burger, Straight Fries, and Drinks. Filling meal... burgers are made using a 1/2 pound of beef! Like the light buns.... just be prepared for the price. Lunch meal price tag was just over $25. More than we really like spending for a burger lunch meal. 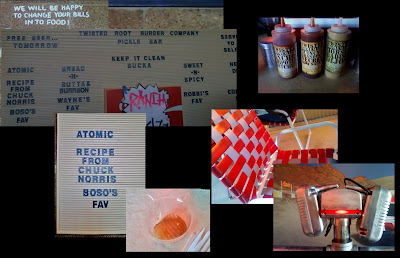 That said, the restaurant offers a Pickle Bar that includes a "Chuck Norris Recipe" called the Atomic. Also, there is a Chipotle-Ancho Ketchup, a Barbecue Sauce, and a Honey Dijon Mustard that provide a new twist to the normal condiments. And, their Root Beer has caffeine! The decor is based on 50's drive-in movie theme - a "Snack Bar" for the kitchen and lawn chairs and picnic tables, vintage movie posters, and a large movie screen playing - guess what - movies on the wall. Mooyahs for price, quantity, and taste (of a traditional burger). 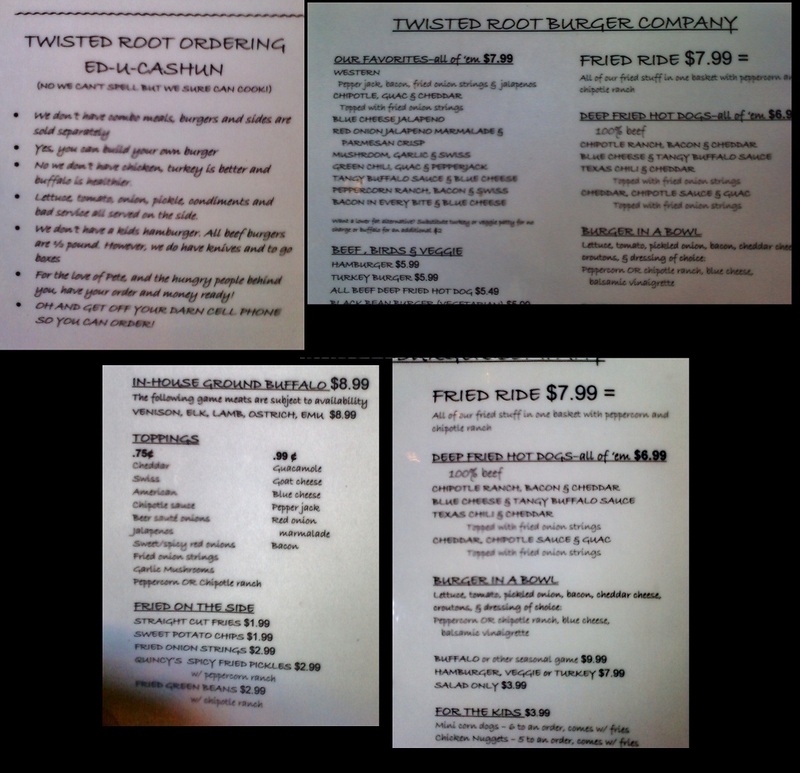 Village Burger for their drink specials and sweet potato fries. 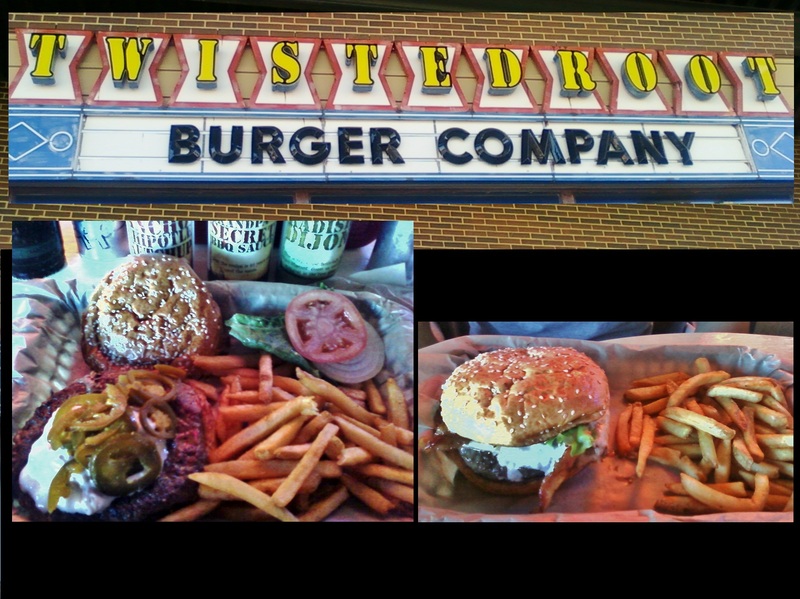 Twisted Root Burger Company for a taste of something different than a traditional burger.